Aboriginal people have lived in Australia for over 50,000 years, and none of that time has been easy. These people survived the longest drought in human history. Next, with warming, they would face flooding, worse flooding than they could imagine. The sea raised 130m and covered one fourth of the Australian continent. 100k of land was lost every generation, for 11,000 years, from 18,000 years ago until 6,700 years ago when the rising sea finally stopped. The Great Flood is remembered in the aboriginal stories. Stories from 18,000 years ago, handed down generation by generation to the present in Dreaming Stories. Some stories are sacred and cannot be told, but the stories of the Great Flood were shared by the aboriginal people in this documentary. 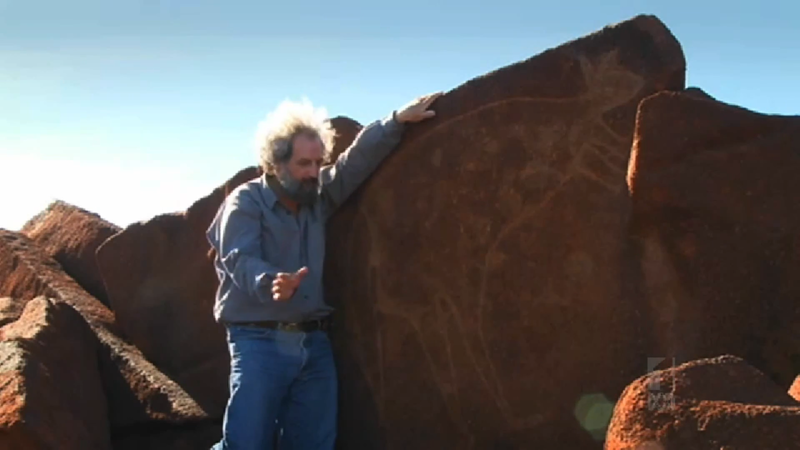 Above, a kangaroo rock carvings from 12,000 years ago. 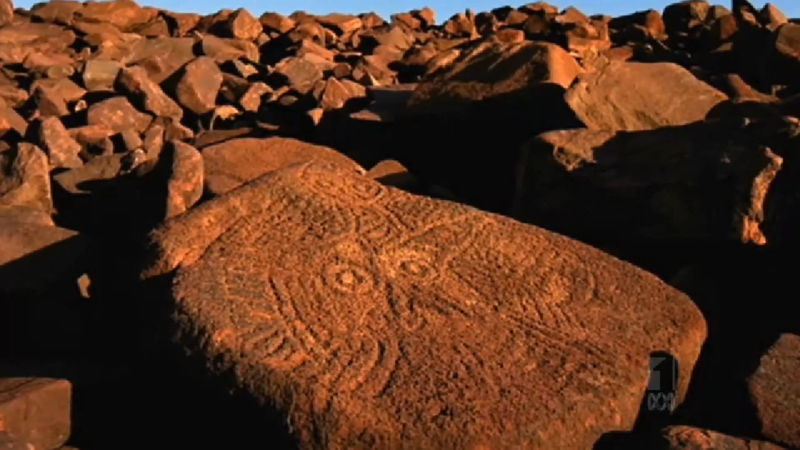 The rock carvings changed 7,000 years ago and began to include fish, turtles and sea animals and kangaroos were no longer carved. The Aboriginal people had become sea people as their plains became coastline. Enjoy part 3 of this wonderful documentary. This entry was posted in Aboriginal, Australia. Bookmark the permalink.